Durostone® composite fasteners are used in technical fields that have high demands on electrical, chemical and thermal properties. Durostone® frp fasteners are based on glass fibre reinforced epoxy or polyester resin Systems with special additives and a special structure. High quality grade for use in chemical and maritime applications; particularly resistant to aggressive fluids – resists temperatures up to 180 °C. Special quality for use when mechanical requirements are less critical. 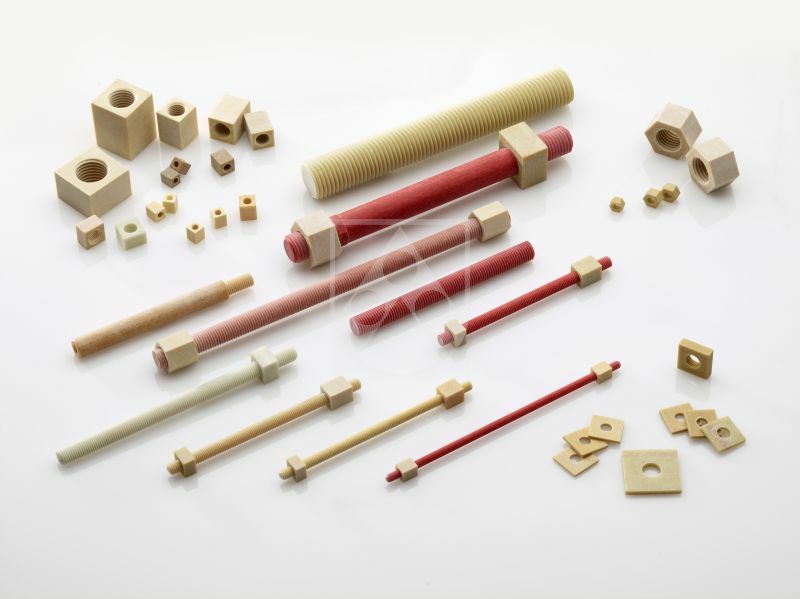 The frp threaded rods grade, VEG-Z, is produced from pultruded sections of unidirectional reinforced vinylester resin. Grade for use in chemical applications. Standard grade for use electrical, maritime and mechanical applications; resists temperatures up to 180 °C. Durostone® UPR S19 is a threaded rod made of unsaturated polyester resin and glass fibres using the Sheet-Molding-Compound-Technology (SMC). The special polyester grade fulfills high dielectric requirements, is artial discharge free up to high electric field strength and has a high tracking resistance CTI 600. Electrical properties: All Durostone® composite fasteners are electrically insulating and non-magnetic. Some qualities are moreover, partial discharge free up to high eletric field of strenghts and especially non-tracking. They are excellent for use in transfomers, in electrical engineering, in high-frequency, switching and elecstrostatic powder coating-equipment. 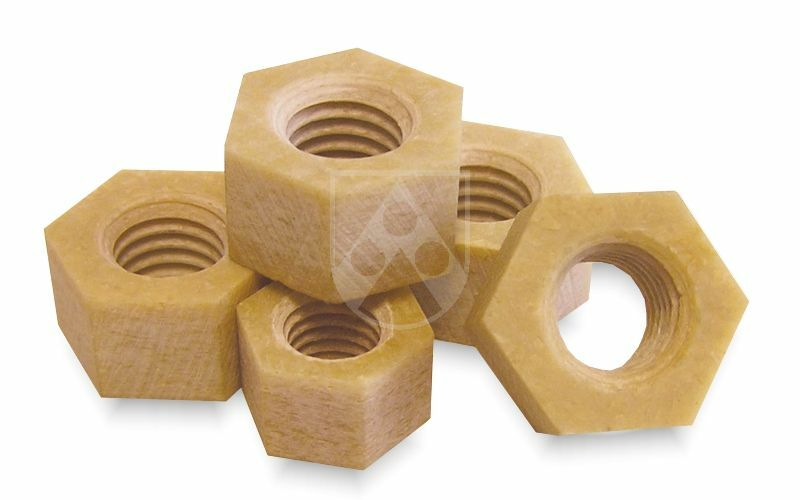 Chemical properties: Durostone® composite fasteners are particularly resistant against aggressive fluids and gases, resistant to transformer oil and dielectric liquids and highly UV and weather resistant. They are in use, for example, in chemical equipment, flue gas desulfurzation and cable trays, the onshore and offhore technology, seawater desalination, wastewaster treatment and cable trays. 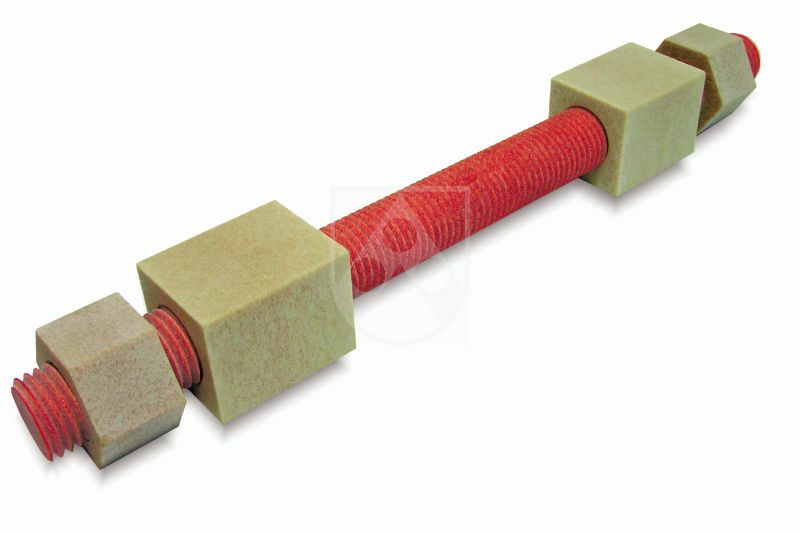 Thermal Properties: Compared to steel (15 - 58 W/mk) frp threaded rods, bolts and nuts made of Durostone® have a very low thermal conductivity of 0.3 W/mk, and are therefore at the level of mineral wool, which is used in construction as insulation. They are ideal for use in refrigeration, HVAC and areas suitable for applications, where thermal bridges must be avoided. Lightweight: Durostone® composite fasteners have a density of 1.9 t 2 g/cm³ and thus weigh only about 1/4 of steel. They are well suited for applications where weight reduction is an important factor - for example, in vehicle or the construction of nacelles for wind turbines. High tensile strenght: Compared to threaded rods made of thermoplastic such as for exmaple polyamide. 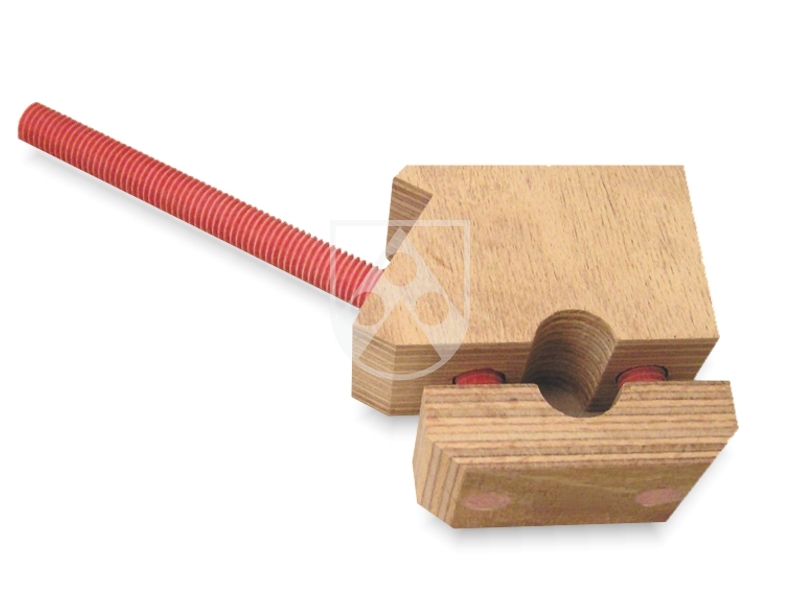 Durostone® frp threaded rods have a six-fold higher tensile strength. Please contact us for choosing the right Durostone® grade for your application. We examine the loads and offer a grade suitable for your particular application.